Schedule a visit or talk to an enrollment coordinator. Sutter SeniorCare – also known as PACE – is a nonprofit all-inclusive health plan for elderly residents in Sacramento County. Our team of doctors, nurses, therapists, social workers, drivers and aides take the worry out of healthcare so seniors can focus on living life to the fullest. 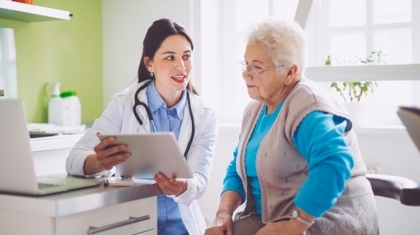 Sutter SeniorCare covers all primary care, hospital care, urgent care and pharmacy services. Dental, vision, podiatry and audiology services are provided on site, including fittings for eyeglasses, dentures and hearing aids. The plan also covers rehabilitation, restorative therapy and necessary medical equipment. Recreational therapists provide programs designed for cognitive stimulation and social engagement, including exercise, music, art, outings and other activities. A hot lunch and snacks are offered to everyone who attends the center each day. Take-home meals are also provided based on need. Home Health nurses are available to provide skilled nursing at home. 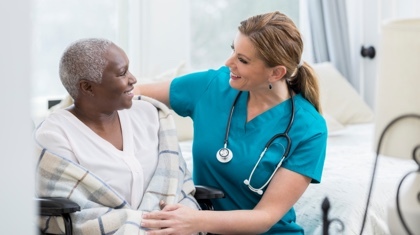 Home health aides and personal care attendants can assist with activities of daily living, including light housekeeping, laundry and meal preparation in the home. Shuttle bus transportation is provided for all trips to and from the Adult Day Health Center, medical appointments and social outings. As the service provider of PACE – a Program of All-Inclusive Care for the Elderly – in Sacramento for over 25 years, Sutter Health remains committed to the well-being of our community’s frail and elderly residents. experience for Bob and his family. 25,407 Meals prepared at the Adult Day Health Center each year. 83,000 Home care visits by our trusted home health aides and personal care attendants each year. 452,653 Miles driven by our professional drivers to and from the Adult Day Health Center, other medical appointments and outings each year. 4,952 Clinic visits at the Adult Day Health Center each year. Sutter SeniorCare is a comprehensive health plan that has served seniors in Sacramento County for over 25 years. This all-inclusive plan includes preventive care, medical care and support services that help elderly people remain in their homes. As a not-for-profit organization, we reinvest our resources back into the community. We proudly fund and partner with community programs to help ensure those in need have access to care and social services. How much does Sutter SeniorCare cost? If you qualify for Medi-Cal, either alone or in combination with Medicare, your costs may be fully covered. Our enrollment coordinators can help you determine eligibility. There are no copayments for services or prescriptions approved by Sutter SeniorCare. If you have a share of cost allocation from Medi-Cal you will be asked to pay this amount to Sutter SeniorCare monthly. Participants may be personally liable for the cost of out-of-network services or services without prior approval. Private payers are accepted. At least 55 years old. A resident of Sacramento County. Eligible for nursing home level of care as determined by the California Department of Health Care Services. Able to live at home or in a community setting safely with support. Our enrollment coordinators can help you determine eligibility. Can I keep my regular doctor? A Sutter SeniorCare primary care doctor who specializes in geriatrics will provide your care. The primary care doctor, along with dental, vision, podiatry and audiology specialists, is on-site at the Adult Day Health Center. When needed, Sutter SeniorCare participants can access Sutter Health-affiliated doctors and hospitals. The Sutter Medical Network includes many of California’s top-performing, highest quality physician organizations. Sutter-affiliated hospitals often receive awards for the high-quality care they provide. What happens to my Medi-Cal and Medicare coverage if I join? Your Medi-Cal and Medicare coverage will continue under the Sutter SeniorCare PACE health plan. By enrolling, you will maintain your current benefits and receive the additional benefits provided under the PACE plan. Can I live at the Sutter SeniorCare center? No, the center is open on weekdays to provide social interaction, nutrition support, activities and therapies, and medical services. 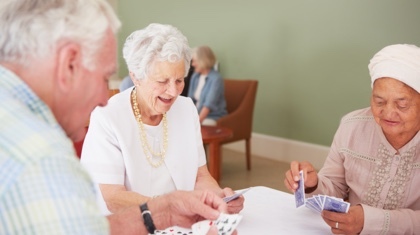 The Sutter SeniorCare program is designed to help seniors live independently in their homes, and provides shuttle bus transportation from home to the center in the morning, with return home service in the afternoon. For more information or to request a tour of the Adult Day Health Center, please call (833) 560-7223. Enrollment coordinators are available Monday through Friday from 8 a.m. to 5 p.m. If calling after hours, please leave a message with your name, phone number and the best time to reach you during normal business hours.